Bill Robinson was born in 1943 in Roanoke Rapids, North Carolina. He enlisted in the U.S. Air Force on November 22, 1961, and was trained as a helicopter maintenance technician at Sheppard AFB, Texas. 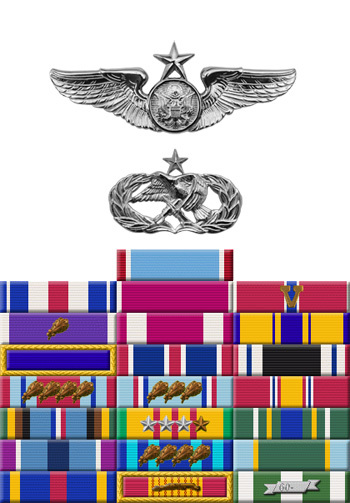 His first assignment was as an H-19 Chickasaw crew chief at Altus AFB, Oklahoma, from June 1962 to September 1963, followed by service as an H-19 crew chief with the 6314th Consolidated Aircraft Maintenance Squadron at Osan AB, South Korea, from September 1963 to November 1964. 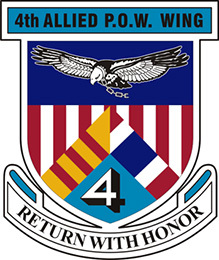 A1C Robinson next served as an HH-43 Huskie crew chief with the 3rd Air Rescue Squadron at Grand Forks AFB, North Dakota, from December 1964 to April 1965, and then deployed to Nakhon Phanom Royal Thai AFB, Thailand, with the 38th Air Rescue Squadron from April 1965 until his helicopter crashed during a rescue mission over North Vietnam and he was captured and taken as a Prisoner of War on September 20, 1965. During his time as a POW, SSgt Robinson, along with 2 other enlisted POWs, was granted a battlefield commission in 1969 as a 2d Lt in the U.S. Air Force, which was made official by President Nixon on April 9, 1973. After spending 2,703 days in captivity, MSgt Robinson was released during Operation Homecoming on February 12, 1973. He was briefly hospitalized to recover from his injuries at Andrews AFB, Maryland, and then attended Undergraduate Pilot Training at Sheppard AFB from November 1973 to April 1974. After completing the Officer's Aircraft Maintenance Course, Capt Robinson served as a maintenance officer with the 33rd Tactical Fighter Wing at Eglin AFB, Florida, from July 1975 to August 1981. His final assignment was as a Logistics Management Officer with the 3246th Test Wing at Eglin AFB from September 1981 until his retirement from the Air Force on December 1, 1984. 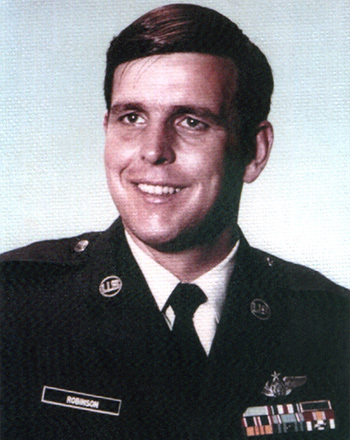 Airman First Class William A. Robinson distinguished himself by extraordinary heroism in connection with military operations against an opposing armed force as an Aircrew Member of a HH-43B helicopter over North Vietnam on 20 September 1965. On that date, Airman Robinson participated in an extremely hazardous attempted recovery of a downed pilot. This mission required a flight of over 80 miles, mostly over hostile controlled territory. Evaluation of the environment in which the downed pilot was located indicated that maximum performance would be demanded from each crew member if successful recovery was to be effected. Though exposed to intensive hostile ground fire, Airman Robinson, with complete disregard for his own safety, performed with courage and professional precision in the supreme effort to rescue a fallen comrade. Airman Robinson's courageous action and devotion to duty are in keeping with the highest traditions of the American fighting man under attack by an opposing armed force. Through his extraordinary heroism, superb airmanship, and aggressiveness, Airman Robinson reflected the highest credit upon himself and the United States Air Force.